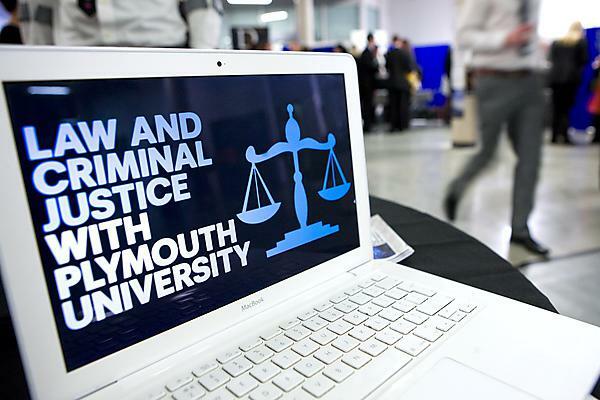 In partnership with Plymouth Central Library this event provided the opportunity for the public, particularly young people, to learn about how the research activities of the School of Law and Criminal Justice at the University can improve community life and contribute to promoting fairness and justice. Eighteen posters illustrated current criminological and legal issues of core concern to the community, particularly challenging public misconceptions of crime and punishment, difficulties in accessing the law and legal advice for disadvantaged and vulnerable groups, homelessness, the rights and interests of victims, challenging hate crime, rehabilitating offenders, community payback schemes for young offenders and immigration. The exhibition was designed to facilitate active public engagement with researchers. Participants took part in a quiz competition based on the posters and discussions with researchers. Three mixed-media interactive activities for school and reading groups were programmed during the afternoon to further stimulate interest in the issues raised by the posters and awareness of library resources and facilities. allowed participants to discover the library as an interactive medium and find out about library resources and range of literary genres. Participants were encouraged to bring along personal mobile devices and to download a free app in advance that enabled them to download poster images, watch videos, access websites, etc. Kim is a Professor of SocioLegal History and is the Deputy Director Research Centre for Law and Criminal Justice at the University. Kim is Co-director SOLON: Promoting Interdisciplinary Studies in Law Crime and History, Joint Editor of Law Crime and History and General Editor for the Routledge SOLON Explorations in Crime and Criminal Justice Histories book series. Kim joined the University in 2004 and formerly taught at Nottingham Law School, Nottingham Trent University, for 15 years where she lectured Constitutional and Administrative Law and Sexuality and the Law. She was a visiting professor at the William Mitchell College of Law, St Paul, Minnesota, USA and the Open University Hong Kong. Kim’s research interests include historical and contemporary aspects of the criminal law with particular emphasis on sexual offences, sexuality, morality and violence. She has currently published a monograph with Judith Rowbotham and Samantha Pegg (Nottingham Trent) Crime News in Modern Britain: Press Reporting and Responsibility 1850-2010 (Palgrave Macmillan 2013). She jointly edited with Jones, Grear, Fenton, Gender, Sexualities and the Law (Routledge 2011); and with Rowbotham, Criminal Conversations: Victorian Crimes, Social Panic and Moral Outrage (Ohio State University Press 2005) follow-up to Behaving Badly: Visible Crime, Social Panics and Legal Responses - Victorian and Modern Parallels (Ashgate, 2002). Patricia is a Reader in Criminology and Criminal Justice and formerly Head of the Criminal Justice Studies Subject Group (2005-2008). In 2013 she worked with colleagues to develop a new masters degree in Criminology which was recently approved. This new postgraduate degree innovatively integrates blended learning and problem-based approaches to programme delivery in partnership with regional, national and international criminal justice agencies. Patricia's research interests are in the areas of youth crime and youth justice; comparative youth justice; penality and the governance of crime; risk, social exclusion and social justice; restorative justice;women's imprisonment; gender and criminal justice; and socio-legal issues. She has just completed research on Youth Offending Team Partnerships and the Social Context of Youth Crime. This research explores how Youth Offending Teams (YOTs) and their partner agencies can strengthen their work together to address young offenders' wider social needs in order to support desistance from crime. Her current research in collaboration with colleagues from the universities of Plymouth and Durham is about 're-mapping and re-imagining restorative youth justice'.